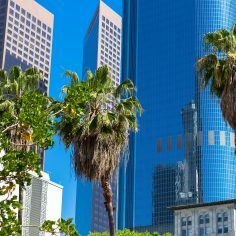 The Department of Cannabis Regulation (DCR) in the city of Los Angeles is looking for someone to run its social equity program. The project is part of a handful of efforts in California intended to get minorities and those negatively affected by the war on drugs involved directly in the state’s legal marijuana industry. According to an online job posting, the position pays $95,776 to $140,021, requires a master’s degree and at least three years of experience with either economic and community development or providing services to low-income, minority or underserved communities. The L.A. social equity program has been a point of contention for many in the city’s struggling legal cannabis market and has not yet been fully rolled out. Other California cities that have social equity programs include Oakland, Sacramento and San Francisco.